So we have come to an end. 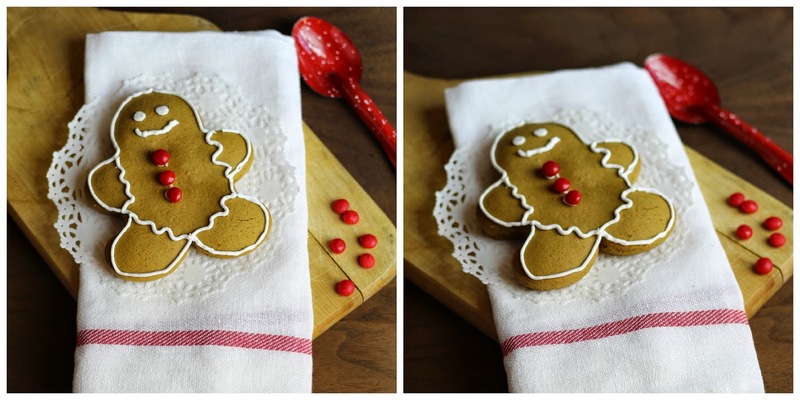 Today is the last "Christmas Cookie Countdown" post, and what cookie better represents this time of year than the Gingerbread Man? 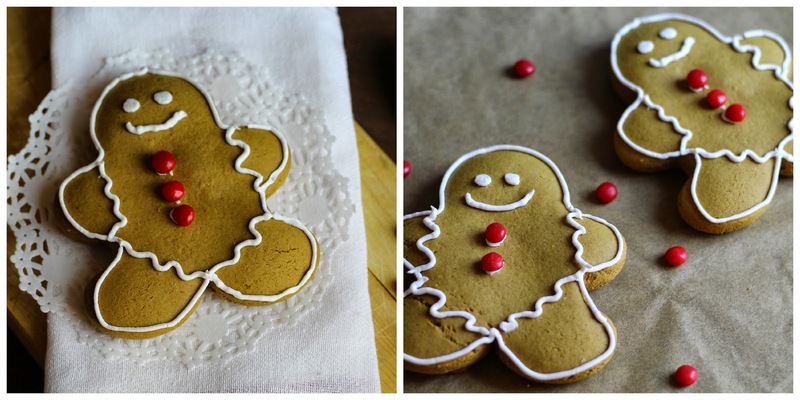 When you think of holiday cookies you think of a cute Gingerbread Men or at least I know I do. I've made them a few times before but never have I used Royal Icing to frost them. And I even made the icing from scratch, which was actually very easy to make. But I do think I made it a bit to thick which made it a little hard to pipe. But hey this was my first try and every new skill takes practice, so I think these turned out pretty good for my first go a round. With this being the last "Christmas Cookie Countdown" that means next week is Christmas, Can you believe it? Where did these past 6 weeks go?!? Better yet what happened to 2014, Doesn't seam that long ago that it was Summer and then fall, Now Winter just snuck up on us. Even though here where I live we haven't had much snow :( Which I hope we get before Christmas. Nothing says Christmas Day like a frosty morning with snow flakes falling. Anyways I hope you've enjoyed these recipes and I wish you all a very Merry Christmas. Recipe: Bake: 350 F for 12 Minutes Makes: roughly 2 - 2 1/2 dozen. Depends of the size of your cookie cutters. In mixer or large bowl. Cream shortening and brown sugar. Add in Molasses and water. Mix. Add salt, soda and spices. Once that's been mixed through. Start adding in your 7 cups of flour. I recommend no more than two cups at a time. After you've mixed the cookie dough. Cover bowl with plastic wrap and place in the fridge for an hour. Once the hour has passed roll dough (lightly grease counter top so dough doesn't stick) out until 1/4 inch thick (Mine I think we're a little thicker than that) you can make them as thick or thin as you want, you'll just need to watch the time and make sure you don't under cook or over cook them. I cooked mine for about 12 minutes. When out of the oven place of wax paper and let cool 30 -45 minutes and frost with royal icing or dust with powdered sugar.